Good morning fellow educators! I have had such a great time reflecting on this past year and documenting things I definitely want to implement/change/continue for next year. It always helps to really pay attention to the things that we know didn't go so well but also the things that did. I had a really great year building readers. We did so much that truly built their confidence and I was blown away at the end of the year. I want to continue that same confidence building and let it trickle in through writing and then next year also social studies. 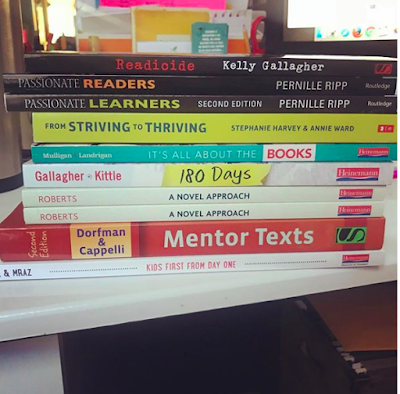 These are my, hopefully, summer PD reads! Any of you read, or want to read together?? There may be times where I have them record their thinking during/after. I don't take it to an extensive length. Again, I don't want to burn them out on the reading. I want discussions to happen, I want questions to arise, I want them to wonder things about the authors way of writing the way she/he did. 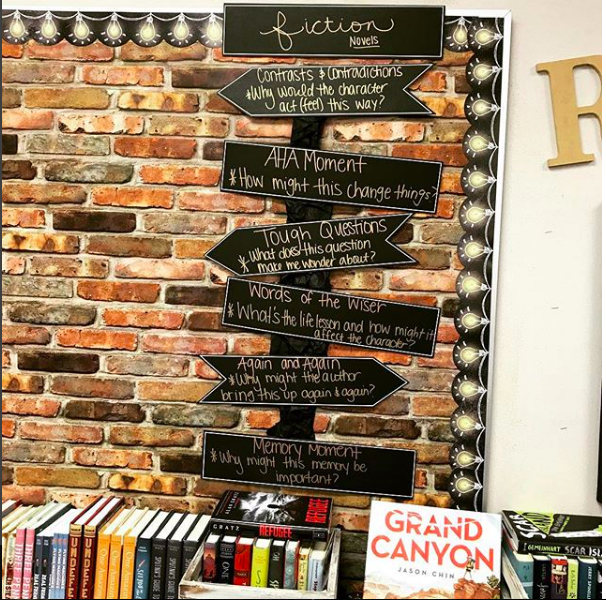 The notice and note signposts answer everything I feel like the kids need to know through all genres. 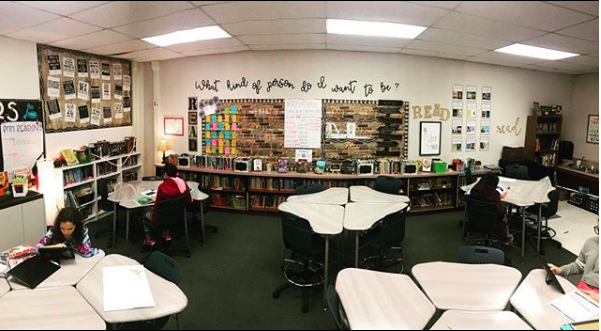 These were kept up all year long, and looking back I totally should have referenced more, but I did find students using them in their reading responses which was all on them! I am so excited that you all stuck with me the last few days and I want to do a giveaway for one of Donalyn's books as well as 3 of my personal favorites, rather that be a YA or MG set! Please fill out the Google Form below! I will choose a winner Wednesday, June 13!